Corsair’s released a couple of NVMe SSDs in the past, with the MP300 and the MP500. 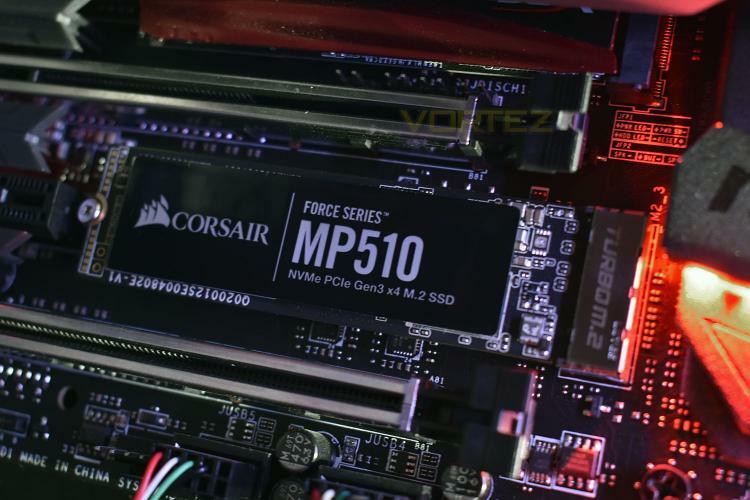 Both of which were a little lacklustre in terms of raw, outright performance, but Corsair promise something a little different with the model in our test rig today, the Corsair MP510 NVMe SSD. The MP510 launches with four capacities, 240GB, 480GB, 960GB and 1920GB and boasts sequential read and write speeds of a lofty 3480MB/s and 3000MB/s respectively. Corsair also claim the drive can manage 610,000 4K IOPS read and 580,000 4K IOPS write. Providing all of that horsepower is the new Phison E12 controller and Toshiba’s latest BiCS3 64-layer 3D TLC NAND modules. The 960GB model we’re testing today houses an outstanding level of endurance, with Corsair promising up to 1700TB of wear, and the 1920GB drive up to 3120TBW. Those figures come backed by a 5-year warranty for absolute peace of mind. Let’s chuck this into our test bench and see how it performs.